As the name suggests you recognise the Pintail by the long tail. The length is particularly visible during flight. If the winter is not too severe, many Pintails stay in western Europe, particularly in the Wadden Sea. When it becomes worse, they move on to southerly regions. 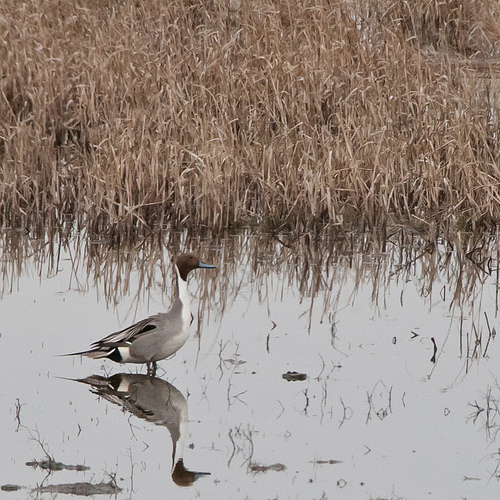 The Pintail is much larger than the Garganey and has a long pointed tail. The Pintail's chest is white, the Garganey's brown. 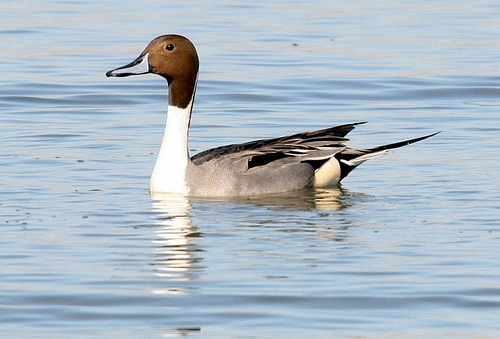 The male Pintail has a brown head. The Mallard's head is green. The Pintail has a longer tail.